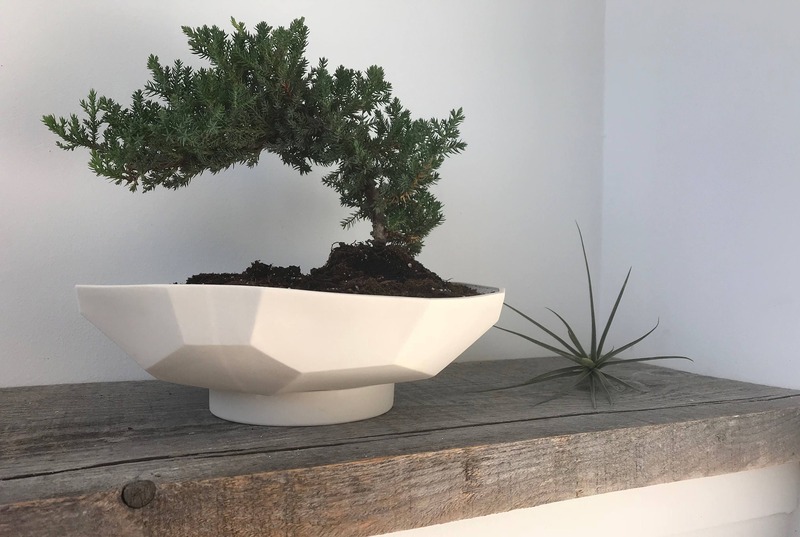 This beautiful shallow planter has been handcrafted from fine porcelain. 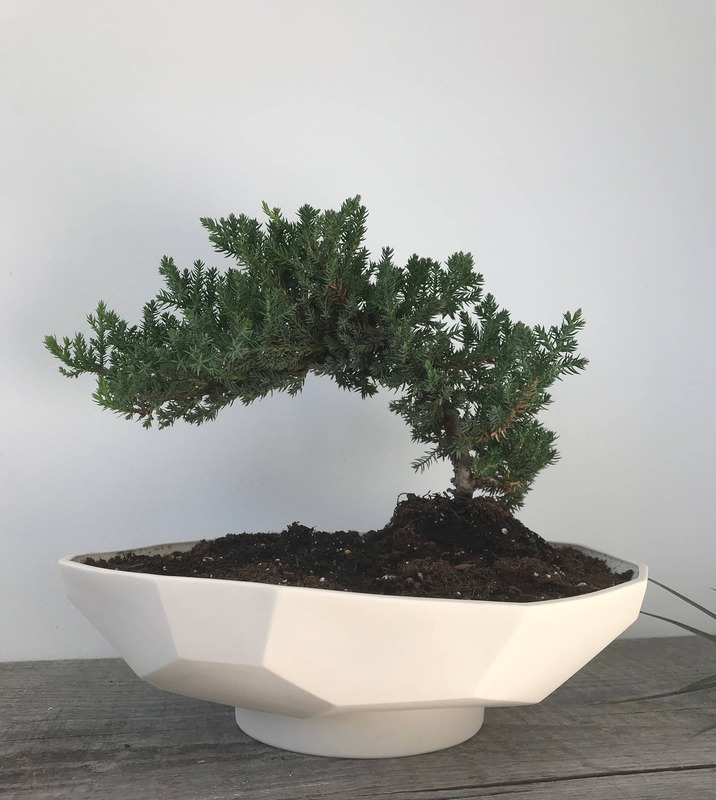 Perfect for a succulent or bonsai planter! Each is slipcased and then hand finished. 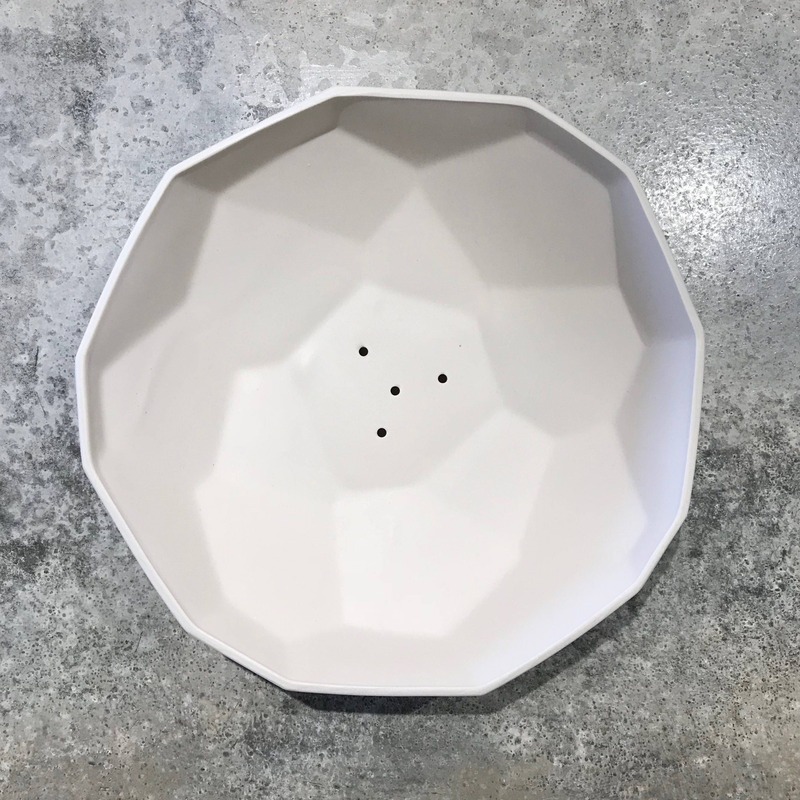 The platter planter has drainage holes in the center and a raised round tray to catch the water. The outside is a soft matte finish. The clay is extremely vitrified, meaning it is as dense as glass, making it impervious to staining.